JQuery Google Calendar is distributed as an Adobe Dreamweaver extension, packed as a file, named JQLightbox.mxp. Read more in the online help. 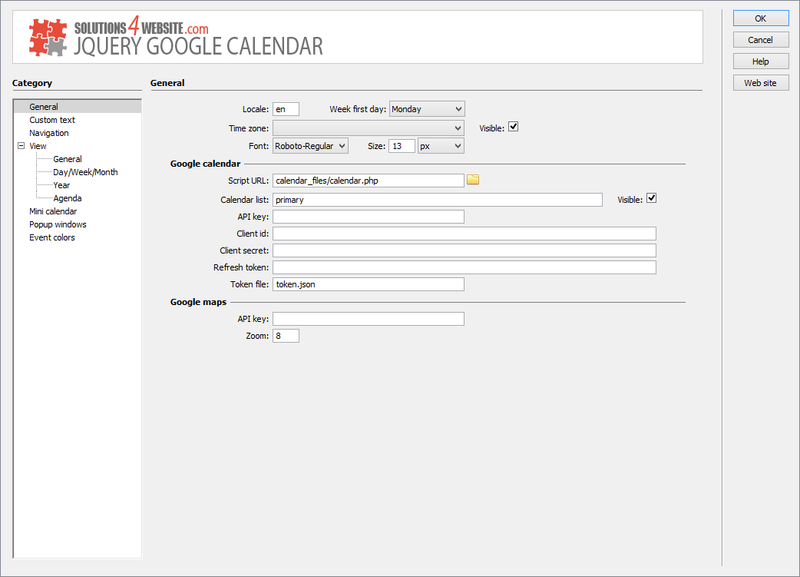 Our powerful and great looking JQuery Google Calendar is the simplest way to add event calendar to your website. Widget is highly customizable. It is very easy to add new events or manage existing - simply use your Google Calendar interface. You can organize your different events into colored groups according to the theme so your users could easily switch between them. There is no problem to add recurring events, just choose how often they should repeat: weekly, monthly, even yearly. Or you can set specific days of the week, for example: â€œrepeat on Mondaysâ€. If your event has a particular place or address you can display it in an integrated Google Map to make it easier for users to find location. Change language, adjust time zones, date/time formats and start of the week according to your region. Calendar has five layouts to display events in your choice: Day, Week, Month, Year and Agenda views. Each view has its own features, for example: day and week views have floating line that displays current time. In year view you can set background transparency in accordance with the number of events, for example: one event pretty transparent, five events fully opaque. 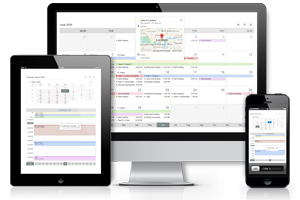 Component has responsive design; calendar will automatically adapt layout to any screen size. The installation package contains Dreamweaver extension, providing you the ability to easily create high-impact, jQuery-powered Forms, all in Dreamweaver CS3, CS4, CS5, CS6, CC 2014, 2015, 2017 and CC 2018. Using the user-friendly user interface, you can adjust colors, fonts, sizes, spacing and wide range of other options according to your taste. Simply add new events or manage existing using Google Calendar interface like you already do. Calendar has five layouts to display events in your choice: Day, Week, Month, Year and Agenda views. Organize your different events into colored groups so your users could easily switch between them. Repeat events weekly, monthly, even yearly or repeat on specific day of the week. Show your events in integrated Google Map to make it easier for users to find them. Change language, adjust time zones, date/time formats and start of the week. Calendar has a floating line that displays current time during each day. Day grid background in year view can have transparency in accordance with the number of events - one event pretty transparent, five events fully opaque. Component has responsive design. Calendar will automatically adapt layout to any screen size. Installation package contains Dreamweaver extension. 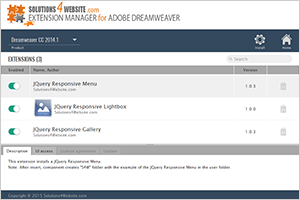 Dreamweaver extension allows you to easily create responsive Google Calendars. Extension has user friendly interface.